Students engage in a game of basketball at the Health, Physical Education and Recreation Building. University Recreation recently analyzed the department’s impact on the 2016-17 freshman cohort. Notable among the findings was that a positive relationship was found to exist between UREC facility entry scans and student GPA and retention rates. This indicates that students who use UREC facilities may perform better academically during their time at the U of A.
Scans of freshman student IDs, collected at the UREC facility entrances during the 2016-17 school year were matched with data such as user rates, retention and GPA. Students who visited the facilities at least once had a higher cumulative GPA than students who never visited UREC facilities. Students who visited UREC facilities an average of 2-3 times per week had an average cumulative GPA that is 0.7 points higher than those who did not use UREC facilities. As 85 percent of the freshman class used UREC facilities at least once, the data suggests that UREC plays a role in student academic success. 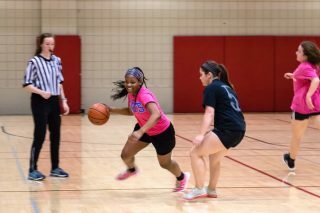 “It is not surprising to see such a positive relationship between collegiate recreation involvement and student success. The variety of services, programs and facilities UREC operates allows us to reach a large audience and be a positive contributor to student success at the University of Arkansas, leading to better retention rates,” said Jeremy Battjes, director of University Recreation. “UREC absolutely plays a role in advancing student success. We are an outlet for students to relax, socialize with friends, and remain healthy. Doing these things helps them de-stress, so they’re ready to be successful in the classroom,” he said. Additionally, the retention rate for freshmen who used UREC facilities was 83.8 percent; much higher than that of non-users at 77 percent. Retaining students from their freshman to sophomore year not only results in a positive financial impact for the university, it shows that their overall transition to the university went smoothly. “UREC provides such a variety of services because we hope every student will be able to find at least one program to participate in,” said Erin Butler, assistant director for assessment and staff development. To learn more about what UREC offers, visit urec.uark.edu.